BASSOON WORKSHOP BIO PAGE - 2019 Bassoon Bonanza! Richard Ramey, a musician versed in classical, jazz, and Latin American music, draws upon his varied musical background in his work as a performer and educator. He is Principal Bassoon of the Tulsa Symphony Orchestra, Tulsa Ballet Orchestra, Tulsa Opera Orchestra, and the Tulsa Oratorio. His membership in chamber music groups include the Tulsa Camerata, bassoon quartet, Rascal Bassoons, and the Latin group, Olor a Café. He has also been a member of the Flagstaff Festival of the Arts Orchestra, Music Festival of Arkansas, Grand Rapids Symphony, the Lansing Symphony Orchestra, and The Baroque Consortium. As a recitalist and clinician, Mr. Ramey has been invited to perform at many International Double Reed Society conferences. His university appearances include The Ohio State University, Catholic University, University of New Mexico, University of Arizona, University of Montana, Ohio University, Northern Arizona University, Oklahoma University, Eastern Kentucky University, Eastern New Mexico University, Southwest Missouri State University, and schools in Canada, Germany, and Thailand. Premieres by Mr. Ramey include Daniel Baldwin’s Dark Side of the Moon Concerto for 2 Bassoons, Rock Band, and Wind Ensemble with the West Point Band, Michael Daugherty’s This Land Sings; the life and times of Woody Guthrie for Chamber Ensemble and Singers, Russell Peterson’s bassoon quartet and wind ensemble version of Who Needs Enemies... with the Air Force Band of Mid-America, Suite Cantando for Clarinet, Bassoon, and Piano and Trio No. 2 for Clarinet, Bassoon, and Piano, both by Bill Douglas, Imágenes for bassoon quartet by Costa Rican composer Vinicio Meza, Bright Angel for bassoon quintet by Graham Waterhouse, Cuatro Cuentos for Unaccompanied Bassoon by Mike Curtis, Shadow by Thai composer Narong Prangcharoen, and Dharmachakra; Concerto for Woodwind Quintet and Orchestra, also by Prangcharoen. Dharmachakra was premiered during a nationally-televised performance in Bangkok, with the National Symphony of Thailand. A renowned expert in wind chamber music, Mr. Ramey has performed in the chamber setting for over 30 years. Several of his performances have been heard on NPR’s “Performance Today.” Mr. Ramey has recorded many CDs including Olor a Café, featuring music for bassoon, piano, and Latin percussion, and Night Sessions, featuring the bassoon quartet Uncle Roy’s Bassoons. His next recording projects are a three-disc collection of unaccompanied works for bassoon and an instructional CD set of the Weissenborn Advanced Studies for Bassoon. His recordings appear on the Naxos and Javelina labels. While doing graduate work in Tempe, Arizona, Mr. Ramey co-founded the Nouveau West Chamber Orchestra, an ensemble known for its seamless blending of 20th-century works with those of the Baroque, Classical and Romantic masters, and for its regular commissions of new orchestral works by contemporary composers such as R. Carlos Nakai and David Ward-Steinman. Richard Ramey is known as an arranger of music for bassoon quartet with many of his arrangements performed by various groups throughout the U.S. and Europe. He recently completed a one-hour version for bassoon ensemble, piano, and percussion of the music from Khachaturian’s ballet Spartacus. As a scholar, Mr. Ramey is the author of several articles appearing in the International Double Reed Journal and The Instrumentalist. His latest book is The Essential German-English Music Dictionary. He has also authored the book, Secondary Orchestra Excerpts for Bassoon, which is now being prepared in a revised, expanded edition. For eight years, he was the co-editor of The Double-Reed Chronicle, the only publication in the U.S. specifically geared towards junior high and high school double-reed students. An upcoming book, The Ultimate Scale and Arpeggio Book for Bassoon is nearing completion and expected to be published in 2016. Mr. Ramey in involved in many facets of research concerning bassoon practice and performance, and has been the recipient of grants to further development in these areas. His current area of research involves integrating the instrument into the jazz medium. A sabbatical project culminated in a comprehensive guide entitled “Audition Strategies for Orchestral Musicians,” which is available as a lecture. He is a member of several musical societies including the International Double Reed Society, the British Double Reed Society, the Midwest Double Reed Society, and the American String Teachers Association. 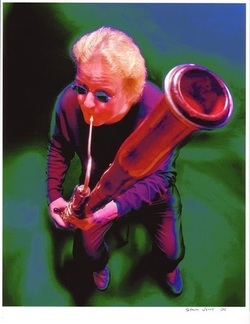 He holds degrees in Bassoon Performance and Musicology from the University of Southern California, a masters degree in Bassoon Performance from Arizona State University, and a Doctor of Musical Arts degree from Michigan State University. His teachers included Willard Elliot, Manuel Zegler, Michael O’Donovan, and the internationally-acclaimed bassoonist, Norman Herzberg. Mr. Ramey does have musical interests outside of the bassoon. He is also a performer of the theremin, the oldest commercially-produced electronic instrument. 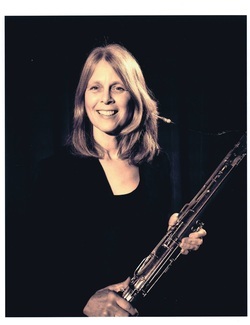 Susan Brown, a native of Louisiana, received her performance and education degrees in both flute and bassoon from West Texas A&M University in Canyon, Texas. There she was fortunate to have the opportunity to study with bassoonists William Davis and Sue Schrier Bancroft, and flutist Gary Garner. Upon graduation, she relocated to Tulsa and became a member of the Tulsa Philharmonic where she played both bassoon and contrabassoon. She also has been a member of the Signature Symphony, Bartlesville Symphony, and our neighboring state's symphony orchestras in both Ft. Smith and Fayetteville, all of which she enjoyed immensely. Susie is a charter member of the Tulsa Symphony Orchestra where she has held the position of Second Bassoon and Contrabassoon for ten years. She also performs in the orchestras of the Tulsa Ballet and Tulsa Oratorio. In addition, Susie holds the position of Second Bassoon in the Tulsa Opera Orchestra, where she has gained an passion for the grandeur of that art form and frequently sings/hums the current arias (but only for her dogs!). She has played with the Light Opera of Oklahoma's summer festival as Principal Bassoon for 20+ years in addition to subbing with the OKMozart's Festival both as an orchestra member and with her woodwind trio, the Council Oak Trio. Susie takes the concept of educating young musicians very seriously. She was the bassoon professor at Oklahoma State University for 18 years, Oral Roberts University for 20 years and the University of Tulsa for 12 years. Currently she serves on a Tulsa Symphony educational outreach where she works with the students of Rosa Parks Early Childhood Education Center (a position in which she some days feels as though she has learned as much as she has taught!). Susie has been a Harwelden Artist for 30 years and has had the thrill of not only teaching, but of having the opportunity to create various music education shows. These programs have toured throughout the greater Tulsa region via the Harwelden Institute as well as the entire state of Oklahoma through the Oklahoma State Arts Touring Program. She is a co-founder of the Bassoon Bonanza!, a week-long summer bassoon seminar based at the Oklahoma Jazz Hall of Fame. This seminar, which is in its 7th year, regularly attracts participants from throughout the U.S. She also revels in her work with the Barking Basset Bassoon Band, comprised of regional bassoonists from all walks of life and skill levels. Susie currently runs a home studio which serves approximately 30 young bassoonists (and a few flutists, too!). She finds great joy in getting to know her students on a one-on-one basis, watching them flourish as both wonderful people and bassoonists! In her other life, Susie can be found training and showing her multitude of dogs, gardening, hiking, taking yoga classes, and hosting backyard bonfire parties at her home in the country. Charlotte Blakely made her operatic debut as the infamous Cherubino in The Marriage of Figaro with the Tulsa Opera. Additional roles performed include Mrs. McLean in Carlisle Floyd’s Susannah, the Witch in Sondheim’s Into the Woods and Carmen. Other performances include The Magic Flute, Fidelio, Carmen, Tosca and Madame Butterfly. She has appeared as a soloist in numerous concert and oratorio works such as Handel’s Messiah, Camille Saint-Saëns’ Christmas Oratorio, J.S. Bach’s Mass in B Minor as well as Bach’s Christmas Oratorio. Mrs. Blakely has also made many appearances performing alto/mezzo solos with the Tulsa Oratorio Chorus. These include Mozart’s Requiem, Schubert’s Magnificat in C, Mozart’s Vesperae Solemnis de Confessore and Beethoven’s Mass in C. For her performance of Beethoven’s Mass in C, the Tulsa World praised Mrs. Blakely for singing “most impressively” and “with authority throughout the evening." As well as performing professionally as a mezzo-soprano, Mrs. Blakely enjoys performing as a bassoonist. In addition to filling out the bassoon section of the Tulsa Symphony, she performs with the Oklahoma Symphonia, Bartlesville Symphony, and Southwest Kansas Symphony.